Search Our Large Database for Used Chevrolet Truck Parts! 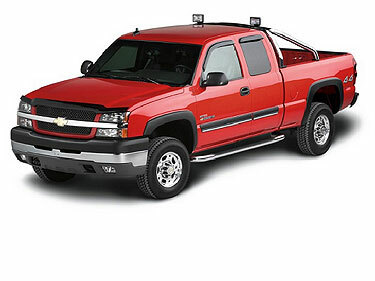 Your search for used Chevy truck parts stops at UNeedAPart.com! Our fast and free locator service can help you track down used Chevrolet truck parts at the click of your mouse button. Simply fill out a parts request form complete with the year, make and model of your Chevy truck and UNeedAPart will search our huge database of over 7,000 parts dealers to find the ones that have the used Chevy truck parts you need in stock and readily available. Once we locate the parts dealer that has the Chevy truck parts you need, we will help you connect directly with the dealer so that you get exactly what you want, right when you need it. Search for and request used parts for your Chevy truck online through our fast and free parts locator service. Our nationwide network of auto wreckers, auto recyclers, auto salvage yards and junk yards hosts a giant inventory of used Chevrolet truck parts including engines, transmissions and even Chevy transfer cases! To start searching for used Chevy truck parts please select the year, make and model of your vehicle from the drop-down menu above and click Next Step.